Seafood is defined as any form of sea life consumed by humans as food. This means that the term includes various types of fish, crustaceans, mollusks, and marine plants. These incredible food items possess an abundance of health benefits, which make them an ideal part of everyone’s diet. According to the Seafood Health Facts website, the federal government and health organizations recommend eating two seafood meals per week. The common denominator among various kinds of seafood would be their rich omega-3 fatty acid content. Fatty fish — such as salmon, tuna, mackerel, and sardines — are notably abundant in this beneficial component, which helps lower cholesterol levels, promote heart health, and reduce the risk of cardiovascular diseases. According to the Diet Health Club website, regular consumption of seafood is also associated with marked reductions in triglyceride levels. The omega-3 fatty acids in seafood are also touted to mitigate the risk of developing certain cancers. Likewise, the compounds are known to fend off inflammatory conditions such as arthritis. The nutrients also plays a major role in the central nervous system by promoting brain function and preventing the onset of debilitating conditions such as Alzheimer’s disease. Seafood is known to alleviate symptoms of depression too. Seafood is crucial to muscle development as well. An article posted on the Food Network website noted that seafood is packed with essential amino acids and protein that help build and repair muscles. Seafood is also generally low in calories, which make it an ideal food fare for people trying to lose weight. In addition, seafood is an excellent source of essential vitamins and minerals that help keep the bones strong. The abundant supply of vitamin A in seafood also makes for an excellent diet addition to maintain eye health. A Fish Box article also noted that eating seafood may bolster skin health and keep various skin diseases at bay. Seafood is found to contain vast amounts of protein that maintain the elasticity and smoothness of the skin. Seafood consumption is also shown to provide protection against the harmful effects on ultraviolet light exposure. Seafood is best known for its beneficial effects on the body’s overall cardiovascular profile. Likewise, the rich mineral content and strong anti-inflammatory properties of seafood help enhance bone strength and mitigate the risk of arthritis. The high protein levels in seafood are crucial to muscle development as well. Seafood is also notably high in essential components that bolster both eye and skin health. Seafood can be enjoyed grilled, fried, baked, and even fresh. An article posted on the Cooking Light website features many interesting recipes that use seafood, which ranges from fish to mollusks. Seafood lowers the risk of developing cancer, heart disease, and diabetes. 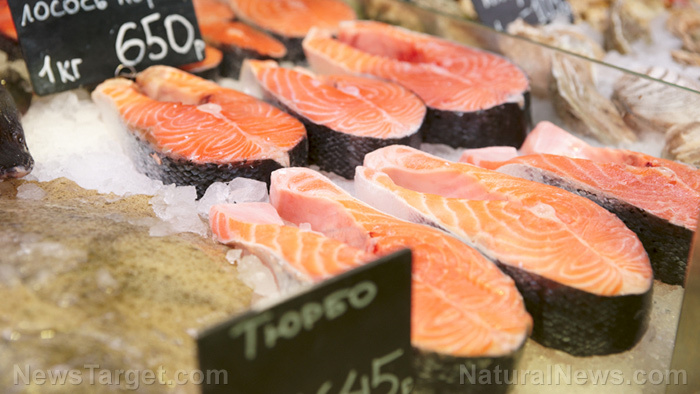 Seafood reduces the odds of Alzheimer’s disease and depression. Seafood is beneficial to both the heart and the circulatory system. Seafood supports brain health and muscle buildup. Seafood maintain healthy digestive system. Seafood enhances both eye and skin health.